If you’re planning to put up an online business this year or you have already launched a beta of your infrastructure, then you will still have time to make a checklist of improvements and (additional) deployments especially if you’re working in a cloud environment. Instead of buying physical servers and expensive software licenses that you need for network systems, the cloud comes with scalable resources you can rent with affordable rates, servers with OS, online storage and app hosting. Whether you need 10 servers tomorrow or 50 in the coming weeks, you can scale and rent them on a pay-as-you-go price packages. No need to purchase hardware and software to run the popular Microsoft service. With SharePoint hosting, you don’t have to install the app in your computer, and your team can collaborate on the projects; data organization has never been easy and manageable with this solution. Whether it’s a private, public or hybrid cloud solution, you can freely choose which type of cloud service you’re going to integrate your backup solutions. With cloud, you only pay the outgoing bandwidth and storage you need. Since you can host SharePoint services in the cloud, you might as well take advantage of unifying all the apps and services you need in the infrastructure such as your business email mailboxes. There are cloud vendors that offer large amount of storage and sizes for email attachments; host your mailboxes that offers 100% application up-time service level agreements to guarantee a 24/7 access. If you’re running an online shop, you can also host it in the cloud because it is capable of handling large traffic with cloud servers, you can scale them, ensuring that your web pages load fast all year round. 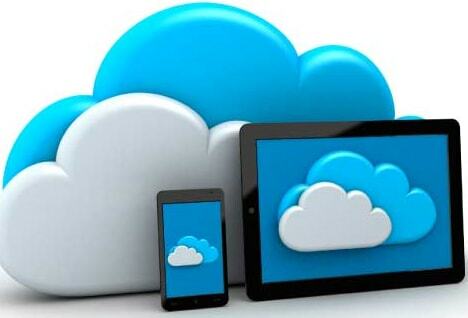 The cloud allows you to host your media files wherever you are; regardless of the location of the servers. You’ll be able to deliver rich content with Akamai Content Delivery Network to worldwide consumers. There are cloud vendors that offer unlimited storage capacity for your on-demand files, giving you the freedom to deliver the media at full speed, and comes with control panels that will allow you to configure and access them with ease. If you need an agile solution to work on your apps for app testing or development, the cloud is capable of developing your app activities especially if your team of developers are experienced agile software developers. With 100% up-time, it is also able to handle a workload of mission critical services.